In May I posted a recipe called Grilled Chicken Salad with Herbed Tomato Vinaigrette which was absolutely fabulous. 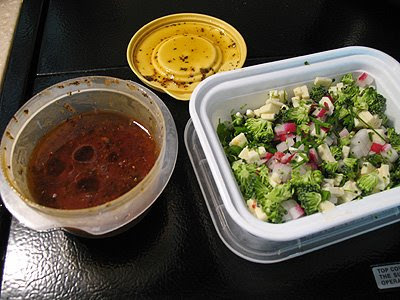 However, I’m not one to drown my salads, I just like to add a bit of flavor with my dressings, so I have plenty of leftover vinaigrette. 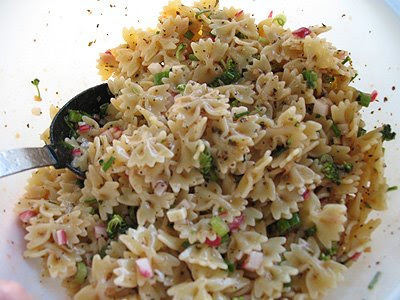 So, I used it to make this wonderful pasta salad. 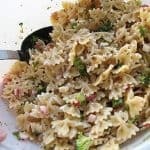 Since we were going up to our camper that weekend, I decided to take a box of pasta, the vinaigrette and some chopped ingredients with me. 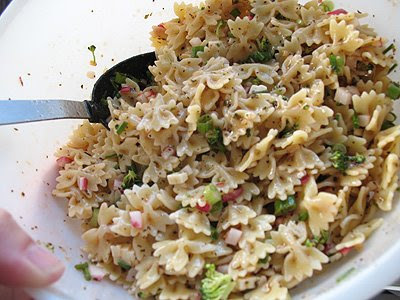 Once we got there I cooked the pasta and mixed it all together. Delicious! 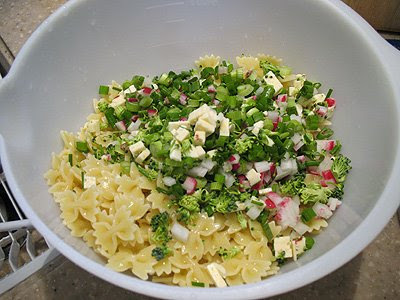 Allow to chill in the refrigerator for several hours before serving, stirring twice while chilling to distribute flavors. 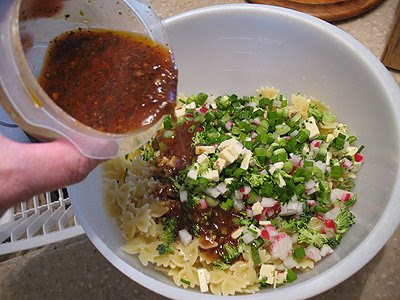 Vinaigrette recipe link is broken..